Your snow looks so pretty. Much like here. Of course yours will melt and be gone before you know it, and there will be flowers. Not like here. ;<)) I so pleased you tried, and liked, the Rabbi Small book. Wouldn't Kemelman be happy. I haven't read Lorac yet. And I love it that you will be reading one of NM's recommended books! Nice picture of your part of the world, Cath. Looks suitably winter-like. Hope you get to read the Susan Hill book. I'm just about to finish her newest one in that series. I've liked it a lot. 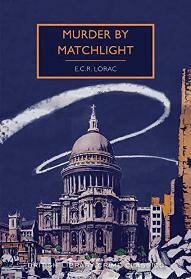 I've just bought Murder by Matchlight by Lorac on the Kindle. Pat: LOL... lots of folks read heaps more than me, Peter for instance is *so* much quicker. My whole family is quicker than me. Never mind... it's not a race. Nan: You are so right and in fact our snow is now almost gone, a few patches in the garden, but a lot more left on the hills, which is nice to see. 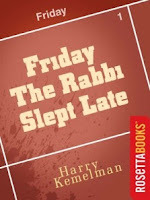 I have Saturday the Rabbi Went Hungry on my Nook ready to read soon. Very soon... maybe next. 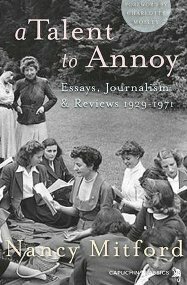 I like it when a book like Nancy Mitford's book of essays leads me on to read something else that I hadn't expected to want to read. I have Murder By Matchlight on my Kindle too. I thought it sounded excellent. 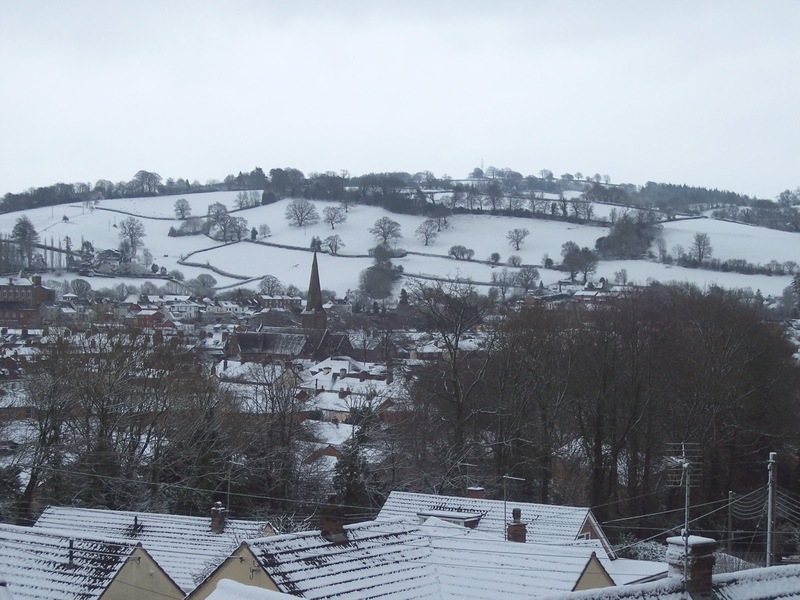 Kay: Yes it's very wintery at the moment, the snow is fast going but it's still really chilly. One of those crisp clear days. 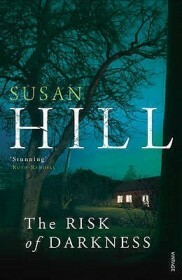 Yes, the Susan Hill book will be read this month for sure. Nice list of books, Cath. I haven't visited much this month so I went and checked out the posts I had not ready yet. I am glad you liked the E.C.R. Lorac book ... 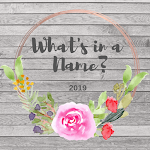 I want to read some of that author's books. My husband read Murder by Matchlight so I have a copy of that one. I look forward to your post on the Michael Palin book, I have borrowed that from my son but have not started reading it yet. We did have some snow too - not as much as down south - and it went very quickly. Tracy: Thanks, I like a bit of variety each month. 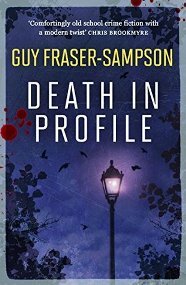 I'm really looking forward to Murder by Matchlight. The Michael Palin was very good, I now have his book on Eastern Europe to read from the library. 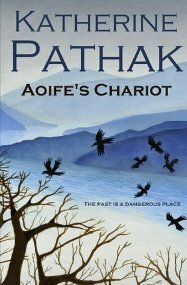 Margaret: I was quite taken aback that Fire in the Thatch was so good, one of those where I was shocked at how fast I was reading. 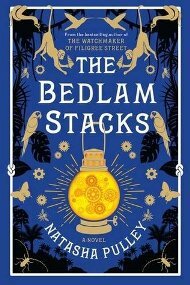 I started The Bedlam Stacks but couldn't get into it. I returned it to the library but might buy it for my Kindle as I suspect my mood wasn't right and another time I might really like it. That happened to me with The Essex Serpent. Our snow has all gone... and my friend who lives up there says yours has too. I wonder if that's it for the winter now? E.C.R. Lorac sounds like an author I need to have read at least once, although make that twice, as I like the sound of both the books you have featured. 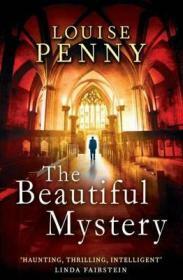 Apart from that, 'Friday The Rabbi Slept Late' is a must for me to read, but every time I see Louise Penny books featured, I am reminded that I just can't get to catch up with the Armand Gamache series, which really frustrates me as it sounds so good! Yvonne: E.C.R. 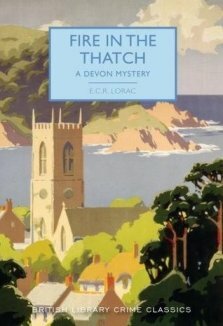 Lorac is indeed a good author, the BLCC books vary a bit but this is one of the best I've read. It's so difficult, when your reading time is limited, to read *everything*. 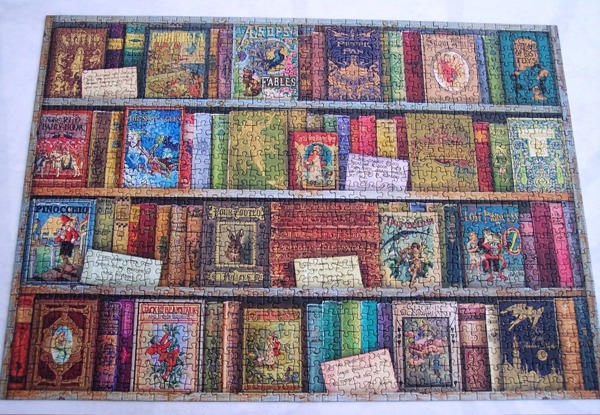 I'm trying to learn that I just can't but it's hard when you love books as much as we do. 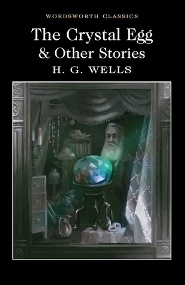 I gave up on Bedlam Stacks as I wasn't enjoying it, I may go back to it as some stage but I'm not short of other books that I might enjoy more. Hope you're having a good weekend and thanks for dropping by.